Strange it is, being in a room full of TOWIE cast members. You know them, but they don’t know you. You understand (or think you understand) some of the looks that are being exchanged, however fleeting. You feel the tension when someone (Mario) walks into the room in the same way you would if you were part of the circle of Essex friends. 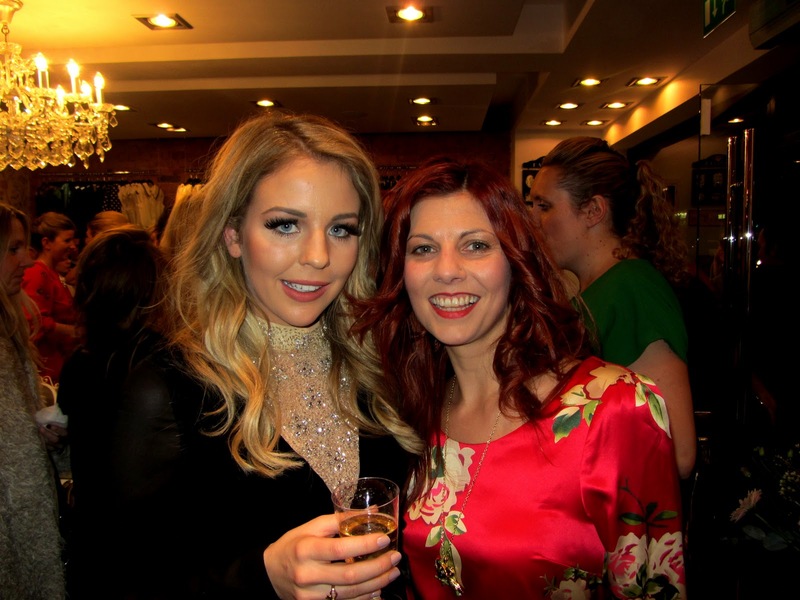 And you want to grab a hold of Lydia Rose Bright and give her a big hug because she has launched such a fab shop and an absolute asset to Loughton (but you don’t, because a) you don’t want to crumple her gorgeous Lucy in Disguise dress and b) you don’t want to get arrested). 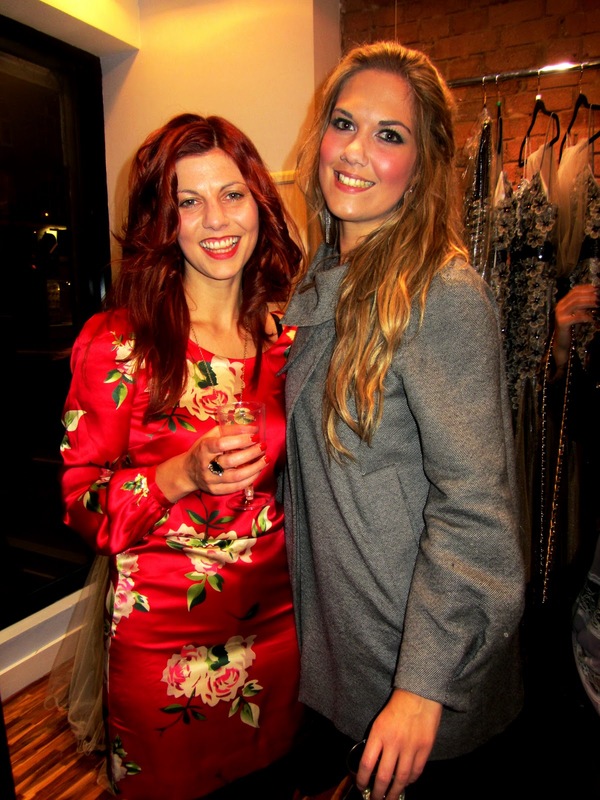 In spite of the strangeness (which is actually addictive), I was totes delighted to be invited to the official launch of Lydia and her sister Georgia’s vintage-inspired boutique, Bella Sorella on November 9th 2011. It was the same night as the wrap party for the third series of The Only Way is Esex, so the cast were glammed up to the hilt (including Nanny Pat). Even Arg had gone for a sequinned bow tie. Bless. Here I am (in my Biba @ House of Fraser dress) with Lydia’s sister, Georgia Bright, who works in the shop “seven days a week” – she’s lovely. Go shopping to Bella Sorella and meet her! 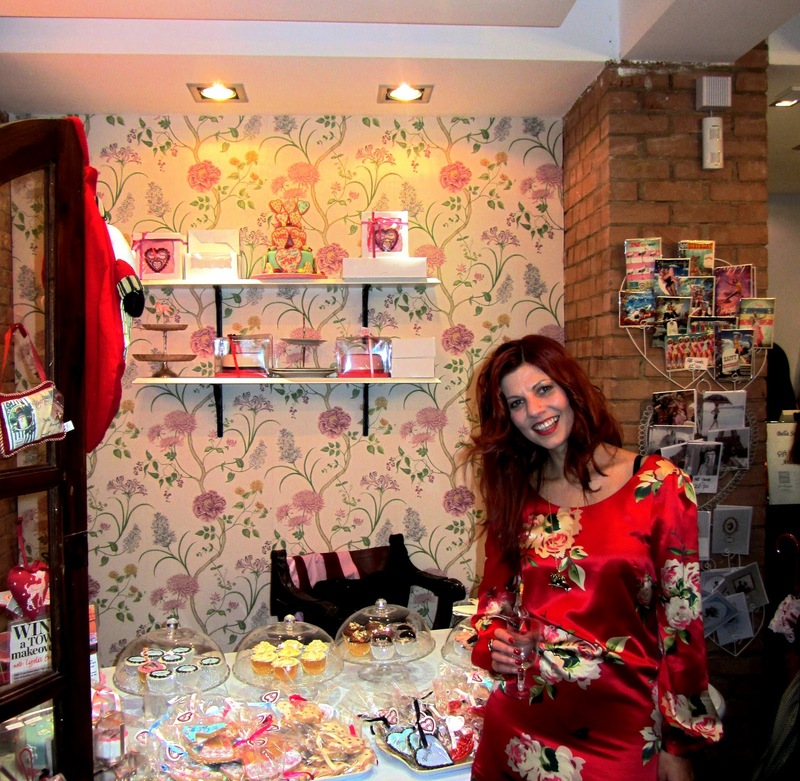 But with my Fashion Detective head on, I was even more interested in checking out the scrummy cakes, trinkets and (natch) dresses on display; gorgeous printed tunics and tea dresses mostly, in floral prints and vintage shades by the likes of Mina UK, Max C and Yumi – all labels I love. Bella Sorella gets a big fat “REEM!” from moi…. All photos by Johanna Payton. All rights reserved. Hii, that grey eligant prom dress lydia wore out in 2011 is stunning! I just wondered, how much does her store sell it for because I would loooveee it for my prom, it’s the only dress i’ve seen i’d like!